Here we can configure the chart settings. For example: chart type, chart width, chart height , etc. 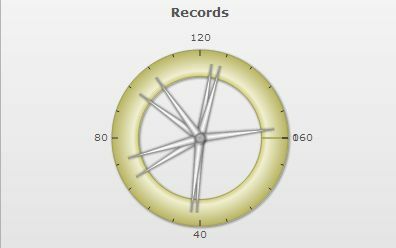 If you we have 2 or more Group By rule, we must configure the chart options for each Group By rule created in the application. Note: The Analytic type Graph only works if the Group by has been configured to use 2 fields. If the user has set more then 2 fields, then the Analytic Graph will be generated using the first two fields of the Group by. 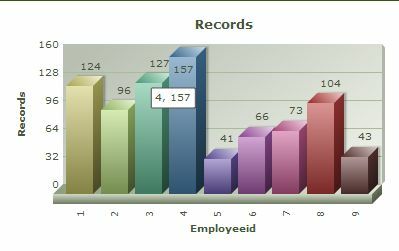 Image1: Generate Column Chart Interface . Image2: Generate Lines Chart Interface (Total). These options are available only to Group By rules with more than one field. 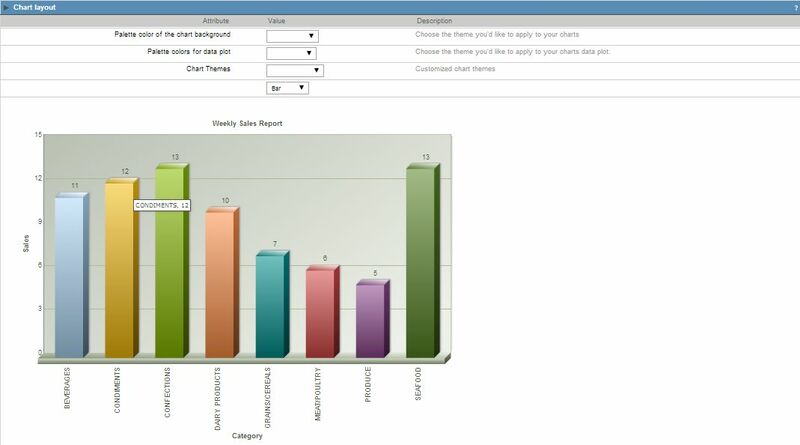 Chart Type- Define the "Default" chart type displayed when the chart option is clicked and which chart types will be available in the application. Font Size - Define the font size used in the chart. Subtitle - Define the subtitle displayed in the chart. Bar - Orientation - Bars orientation - vertical or horizontal on the chart. Bar - Dimension - Bars dimension (2D or 3D) on the chart. Bar - Stacking - Stacks the bars in a single bar (By series ). Bar - Values on the side - Place the values on the side of the bars. Bar - Width - Can define the width between 20 and 70. Bar - Guidance value - Defines the orientation of the chart, it can put upright. Bar - Positioning the value - Can be choose where the value will be positioned. Font Size-Define the font size used in the chart. Subtitle- Define the subtitle displayed in the chart. Pie - Format - Forms pie or donut formats. Pie - Dimension - Image dimension on the pie chart. Pie - Sorting - Sort the pie chart. Pie - Values format - Data format displayed. Line - Shape - Displays the format of the line. Line - Series Group - Line grouping type. Area - Shape - Area shape displayed in the chart. Area - Stacking - Stacks areas in the chart. Area - Series group - How to group series in the chart. Gauge - Shape - Shape displayed in the chart. Funnel - Dimension - Funnel dimension (2D or 3D) on the chart. Pyramid - Dimension - Bars dimension (2D or 3D) on the chart. Pyramid - Values format - Data format displayed. 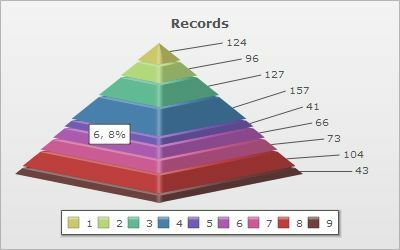 Pyramid - Shape - Shape displayed in the chart. 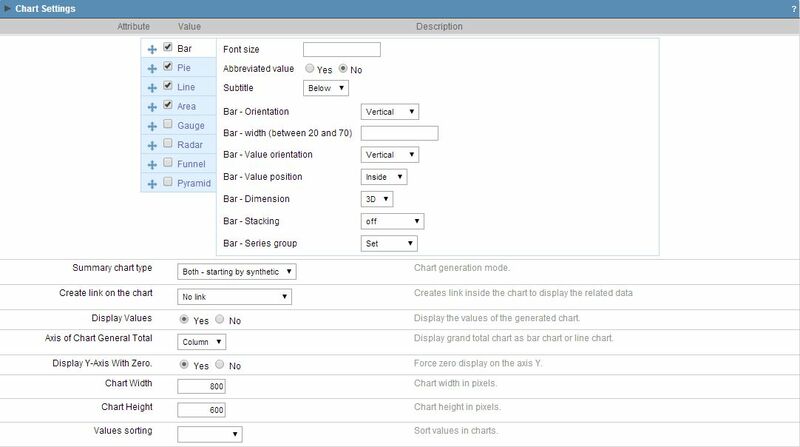 Summary chart type - Select the chart type between analytic or synthetic. Synthetic and analytic charts are different forms of dealing with multiple group by criteria to create charts. Synthetic charts will be restricted to the first group by condition and will allow the user to use links to see details of the next group by criteria, increasing the level of detail. 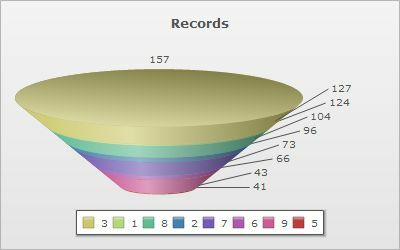 Analytic charts are dawn with all the group by criteria, creating one full detailed chart which does not allow linking to detailed charts. 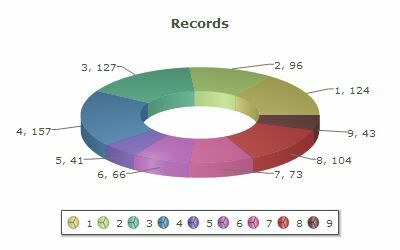 Create link on the chart - Allows the charts to have a link on its elements to detailed grid applications or charts. The data shown will be relative to the value clicked on the chart. 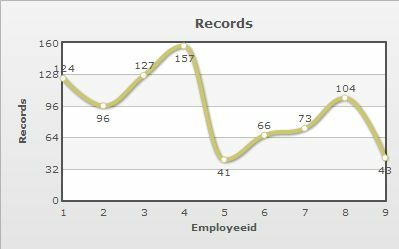 Displays Values - Displays values on generated chart . 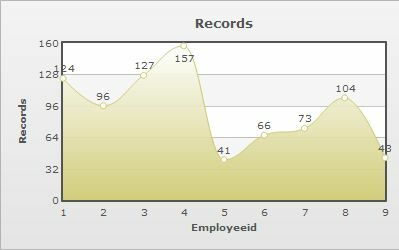 Axis of Chart General Total - Display the chart of the General Total as a column or a line. Display Y-Axis With Zero - Display Y-Axis With Zero. Chart width - Generated chart width in pixels. Chart Height - Generated chart height in pixels. Values sorting - Sort chart values. Legend height - Maximum height, in percentage between the chart and the space (on top) reserved for captions. Chart display mode - Defines if the charts will be shown in a new window, side-by-side with the application, or loaded in the same browser window. Image 4: Chart Layout Color Settings Interface. 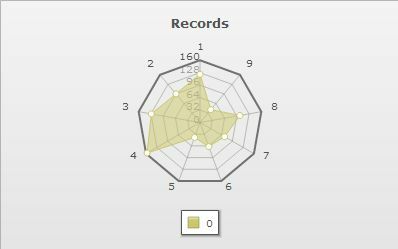 Chart palette color - Define the color used in the chart background. Palette color for data plots - Define the color used in the chart data plot.